Inanch’s unique application methods give client’s amazing hair extensions by blending colours for the most natural effect and placing the extensions not only for the most comfortable application but also to create a new look that no one would know was created with extensions. This can only be created with great quality hair, expert application, creativity and skill. 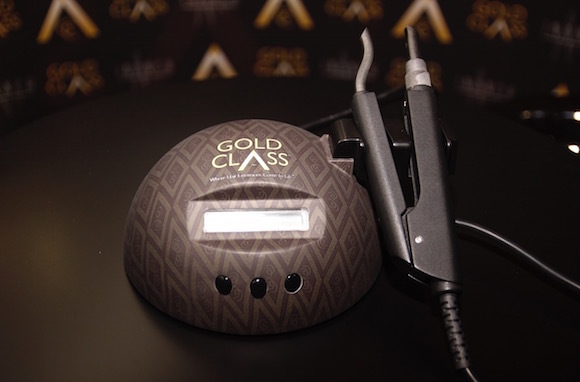 Our pre-bonded Gold Class hair extensions fuse gently onto the client’s hair using the Gold CLass applicator machine that Inanch has perfected over the many years. Once settled, the bonds hold the extensions securely and comfortably in place until they are due to be removed professionally & at 3 to 4 months. Class safe & easy to use heat application is the chosen method of hair extension application and gives great results for the client.